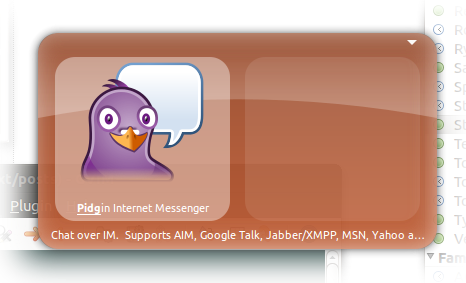 Around the office, when someone security-minded finds out that I instant message (IM) over Pidgin (using Google Talk’s service), there tends to be wailing and gnashing of teeth, because I am chatting in clear text over the wire. I am encouraged to use a clunky, Windows-only, proprietary, corporate, different tool that is for internal talk with internal people. “It’s secure.” “It’s encrypted,” they say. I never though I said too much of worth over chat, and what was occasionally awesome was well-encoded in l33t. 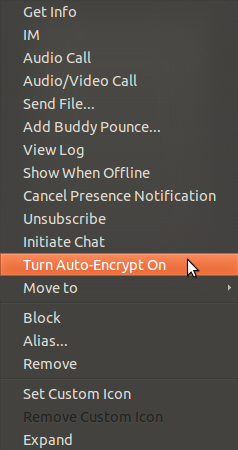 But, now my friend Dean teaches me the goodness of encrypting your IMs in Pidgin. 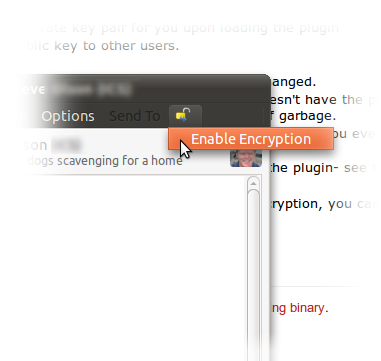 For users who like to download their own binaries from the web, go to the pidgin-encryption site. Well, now you can chat freely with the best of them. Open tool. Open protocol. Linux support. Google contact list. All for the low cost of zero.